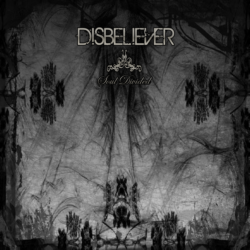 Quality, originality and sincere attitude are the top grades of italian gothic metal bandDisbeliever, formed in 2008 in Pisa, Italy. At the beginning they are composed of Yuri Ciampi (guitar), Sacha Ciampi (drums) and Andy Madonia(bass), then subsequently joined by Luis McFadden (vocals – ex Motus Tenebrae) and Marco Giampaolini (guitar – ex Motus Tenebrae). Many directions and style they have, but it does not take a long time searching the sound in goth, with several references to the rock world! 2009 is passed behind songwritings, that bring them in the end of the year to the first album recordings. In 2010, after much anticipation and trepidation, they release their first album “Soul Divided”. The centre of the music is the powerful but also the deepness. Composements and arrangements are a mix of ingredients: melody, wickedness, heavyness of riffs, vocals are just the main things that makes you considering to take a listen to this band. The album is well received by critics. Followed very positive reviews and the band begins to grow in the Italian area and beyond. Breakthrough they decide to begin to be felt even live. In 2011 the band decides to start composing. New songs come to light with more maturity and performance. The band currently has finished the songwritings that will take them into the studio in 2012 thus creating the successor of the first masterpiece. A new chapter is ready to unfold for Disbeliever. They will expand their grasp on the music that has impressed so many.